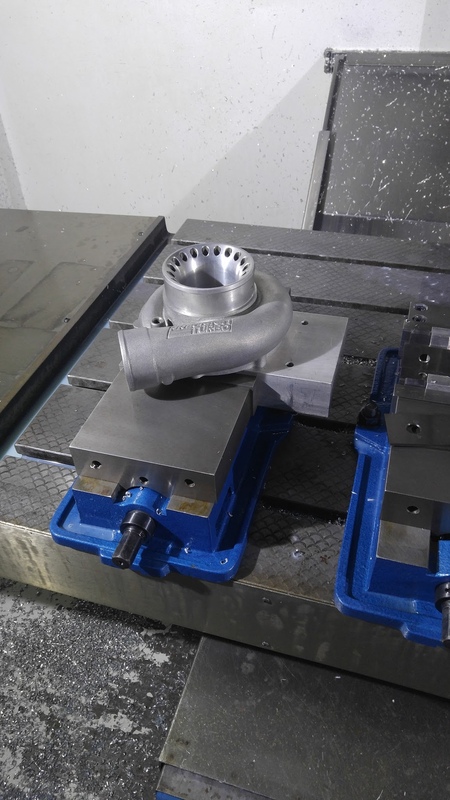 Standard Turbo Rebuild (includes balance) - We use high standard OEM replacement parts in all of our turbocharger rebuilds to ensure you get the best possible quality. Don't be fooled by others who use parts from unknown sources and charge next to nothing to rebuild. You will end up paying more in the long run. Prices start at $375 for standard rebuilds. Actual cost of repair depends on extent of damage and type of turbocharger. High Performance Turbo Rebuild (includes balance) - This includes a steel 360 degree thrust bearing instead of the 270 degree and stepped gap piston ring if available for your turbo. We recommend a high-performance rebuild for anyone who pushes their turbo to its limits, uses extremely high boost, or someone who would just like knowing they have the highest quality, most durable parts available installed in their turbo. 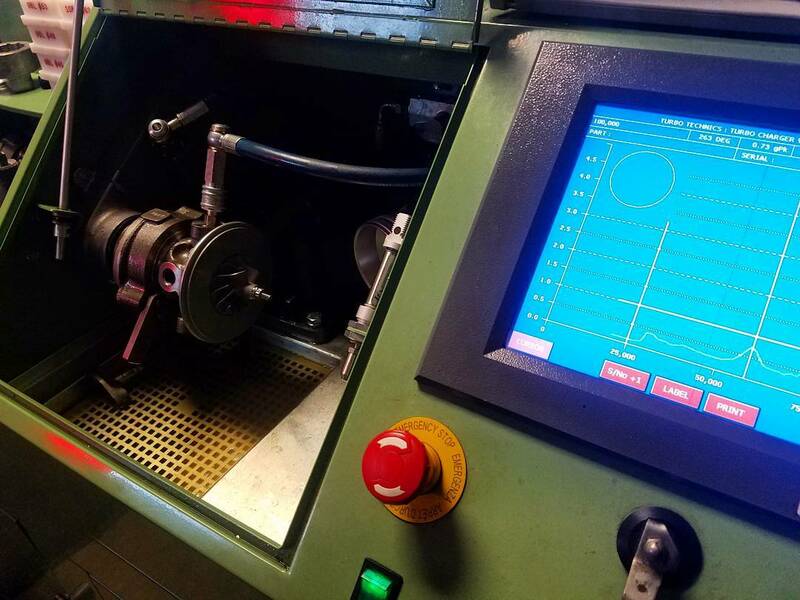 Please fill out the TURBO REPAIR FORM prior to shipping your turbo in so we can identify the owner of the turbo and know who to contact once received. We rebuild all makes and models of turbos. 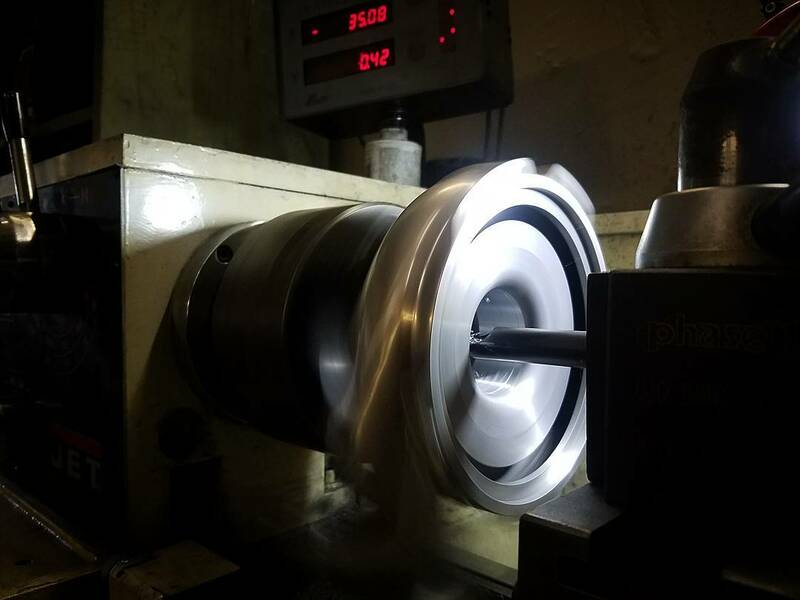 A standard rebuild is a rebuild in which there are no internal hard parts (compressor wheel, turbine shaft/wheel, bearing housing) that need repair or replacement. A standard rebuild includes a complete balance, complete rebuild kit with new thrust parts (where applicable), and thorough part cleaning. Your turbo will look like new when you receive it back from us. The first step in the rebuild process is a full inspection. If any of the hard parts are found to be damaged at this point, we would contact you and give you a full quote for repairing or replacing the parts. There is no upfront payment or deposit required, and you are not obligated to complete the rebuild after you have received a quote (if the rebuild will be much more extensive, or costly, than what you had planned, for example). There will be an inspection fee of $65 if you do not proceed with any work, there is no inspection fee if you go ahead with the rebuild. If you would like to have your turbocharger components balanced, you can send it in for this service. We do not need the complete turbo in order to balance it. We just need the compressor wheel, locknut, turbine shaft, and thrust parts. Use the contact us section of our website to inquire or you may call us at the office. We offer both component balancing and high speed VSR balancing. The following is a list of most popular engine applications in which the turbochargers we carry and service go on. Please keep in mind that we need your engine serial number or the turbo part number when you call for a turbocharger or cartridge. Please feel free to call us at 813-443-0531 if you have any questions.